We are excited to feature work by eight different artists at Art Miami! Today we will highlight two of them whose work shares some common themes. In our overstimulated, information-saturated world, it’s easy to forget to look around and truly notice our surroundings. It’s so much easier to get lost in an endless scroll of news, sound bytes and social media updates. 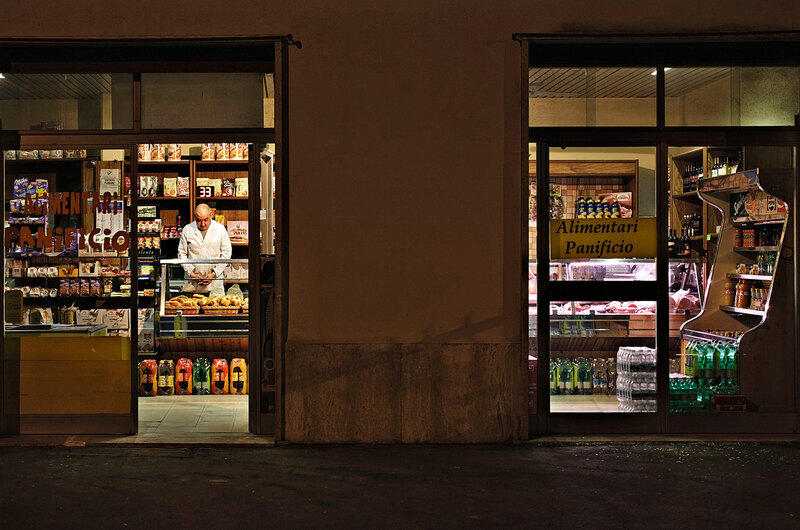 The work of Francesco Pergolesi and Jan Kaesbach force us to slow down and rediscover the world around us. Whether in Germany, Spain, Greece or Italy, these photographers make us step outside our spinning existence for a moment to realize the simple beauty in our everyday lives. His ongoing series Heroes is devoted to the disappearing landscape that shaped his childhood. Lit from within, his pieces force the viewer to stand inches away, creating an intimate interaction that encourages us to celebrate these everyday heroes. 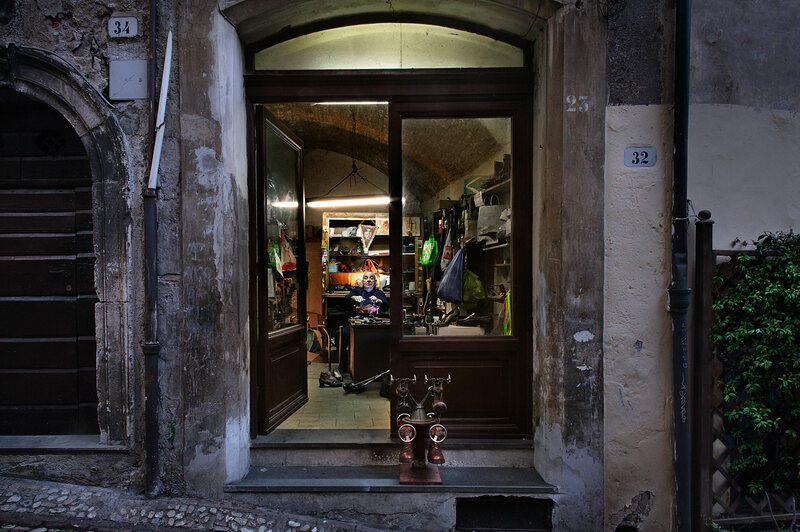 Francesco Pergolesi was raised in Spoleto, a small Italian village filled with artisan shops and small businesses. Now splitting his time between Spoleto and Barcelona, Pergolesi creates photographic tableaux inspired by memories from his past: narrow cobblestone streets, the sound of a hammer coming from the open door of a shoemaker; the smell of fresh bread from a baker, the steady beat of a sewing machine from an open window, the smell of old paper in a used bookstore. In Pergolesi’s world, these sights and smells drive his art making, as he seeks to preserve the past. Jan Kaesbach creates portraits of tradespeople that resemble contemporary August Sander’s photographs. The artist makes videos that appear static, yet upon closer examination, an eye twitches, a flame flickers or a hand tremors. Each “moving portrait” is made by seamlessly looping 3,500 still images, which are then played back at standard film speed. The videos last between 3 and 4 minutes, creating a tension between the sitter and the artist, as each subject attempts to remain still. These are quiet pieces that allow an intimate interaction with the viewer. Click here to see more work featured at Art Miami. < Previous Art Miami 2016 opens tonight!